During my two-week trip to Silicon Valley in April, I saw something really interesting; I saw that people at tech conference booths or café counters were using a small white square on top of their iPad or iPhone to swipe my credit card to take bills as small as $10. It looked so simple and easy. In July last year, Square raised funding at more than 1 billion dollar valuation from a group led by Kleiner Perkins Caufield & Byers (KPCB).KPCB is is one of the leading venture capital funds in Silicon Valley which previously invested in companies like AOL, Amazon.com, Google, Intuit, Netscape, Sun, Symantec, Zynga and many more leading tech companies. This year, Square has been reportedly seeking to raise fund at 4 billion dollar valuation and in early June, Forbes reported Square may seek to go public. Square now processes over $6 billion in payments on an annualized basis. That’s an incredible amount of transactions for a young start up that’s just more than two years old. When a card is swiped, Square takes a 2.75 percent transaction fee. 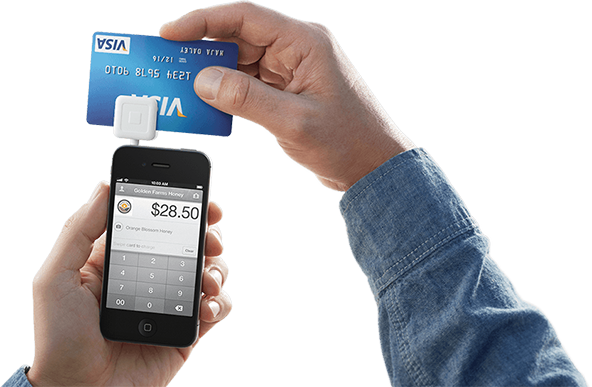 More than 1 million businesses and individuals accept Square payments in the US. So after a few Google clicks, I found an a lot more interesting fact: the 35-year-old founder of this multi-billion dollar financial services start up is also a co-founder of Twitter! How did he manage to start not just one but two mega start-ups that are changing the way we communicate and make payments? Jack Dorsey explained 3 keys to Twitter’s success in the below video. Twitter Founder, Jack Dorsey, advocates ‘drawing out your ideas’. Let’s take a closer look at how Dorsey’s two start-ups have changed our lives. Twitter now has over 500 million active users as of 2012, generating over 340 million tweets daily and handling over 1.6 billion search queries per day. Twitter has enabled information to spread faster than ever. Twitter’s real-time news flow has been cited a crucial tool in Arab spring in Tunisia, Egypt and rest of the Mid-East. Savvy businesses see gold in the information: Consumers are talking about them on Twitter, and they get to respond more quickly than ever. 2. Square helps small business owners in the US. Square is creating value by helping small business owners to increase their sales. Half of small business owners in the US do not accept credit cards because of the hassle and cost of working with the major payments-network providers. However, now business owners can accept credits cards on Square Card Reader. All they need to do is sign up at Square.com and receive Square Card reader in mail at free of charge. Similarly, obsessively high credit card fees for small merchants has recently become a social issue in South Korea. In the US, Square has made it painless for businesses to accept credit cards. “Right now, businesses pay fees worth 1 percent or 2 percent or 4 percent of each transaction to their payments processors. It adds up—and, worse, the pricing is frustratingly opaque. Networks charge different fees for different cards at different times, meaning small businesses are never sure just how big of a cut the credit-card machine is taking. Dorsey seems to approach an everyday problem with different perspective. Here is the story of how Square began. Square was borne out of necessity, and far from Wall Street, with a St. Louis glass blower named James McKelvey. He handcrafts high-end faucets and fittings–the sort of thing that someone could fall in love with, but doesn’t really need. And when he makes a sale, it’s usually a spur of the moment buy. Trouble is, he only accepts cash at his studio, and if someone only has a credit card the sale is lost and unlikely to return. McKelvey explained this problem to his friend Dorsey, who is a natural tinkerer, and the pair decided to investigate how the merchant credit card accounting process worked. It didn’t take them long to discover that there was indeed a way for McKelvey, and everyone else, to begin accepting credit cards without having to pay exorbitant fees. All it required was cutting out the middle-man, which the Internet is famously good at, and bringing the card swiping process into the mobile phone era. Square’s growth in the US alone has been very impressive so far. The volume of all types of mobile payments will top $200 billion by 2015, up from $16 billion in 2010, according to research and advisory firm Aite Group. Square will have to compete with eBay’s Paypal which launched its own mobile payment service in March this year. Paypal charges a fee of 2.7 per cent of the purchase price compared to 2.75 per cent charged by Square. Also, Paypal announced in May it’s establishing a multi-million-dollar joint venture with Softbank in Japan to provide mobile payment service. Paypal has already launched mobile payment service in the US, Canada, Hong Kong and Australia. Square only offers its service in the United States. I want to end this blog post with below advice from Dorsey at 99% conference. It nicely sums up Silicon Valley’s start up culture. “The most important thing about being able to draw out your ideas and share your ideas immediately is you get instant feedback on what works and what doesn’t. Today’s NY Times Article on another groundbreaking feature – a few interesting points. What do you all think about the issue of privacy versus enhanced convenience? …”But to Square, that’s all been just a warm-up act. The main event is even more disruptive. It’s a little something — a big something — called Pay With Square. You walk into a shop or cafe. The cashier knows that you’re on the premises, because your name and thumbnail photo appear on his iPad screen. He rings up your items by tapping them on the iPad. And now the magic moment: To pay, you just say your name. The cashier compares your actual face with the photo on the iPad’s screen, taps O.K., and the transaction is complete. No cash, no cards, no signatures — you don’t even have to take the phone out of your pocket. …”You set up the phone app by choosing your photo and linking your credit card. Using GPS, the app automatically lists shops and cafes near you that offer the Pay With Square system. If you turn the phone 90 degrees, you see them as pushpins on a map. Square says that 75,000 merchants already accept Pay With Square. I tried out Pay With Square in a San Francisco coffee shop. I tapped its name and then tapped Open a Tab (a one-time operation). At the counter, I asked for a mocha and a muffin. While the employee went to get the muffin, I peeked around at his iPad, which was on a countertop mount. To my surprise, it showed photos of two other customers — all of us had the Square app on our phones. The register app uses GPS and other location services to know when these people are in the shop.